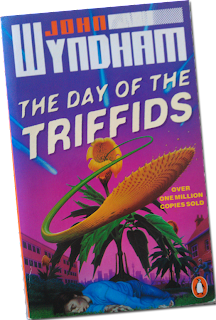 Description: The Day of the Triffids is a post-apocalyptic novel published in 1951 by the English science fiction author John Wyndham Parkes Lucas Beynon Harris, under the pen-name John Wyndham. This classic sf novel traces the fate of the world after a comet shower blinds most of the world's population. The few with sight must struggle to reconstruct society while fighting mobile, flesh-eating plants called triffids. 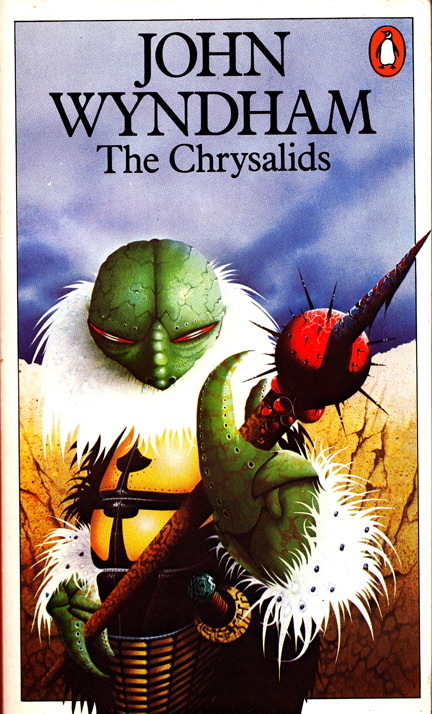 Origins: My first introduction to John Wyndham and post-apocalyptic sci-fi. Day of the Triffids was a book which I had to read for school and apart from the C.S Lewis' The Lion, The Witch and the Wardrobe, it was the only book I looked forward to reading. I finished reading it before the rest of the class. Unlike The Lion, The Witch and the Wardrobe, which we spent 10 weeks picking over and apart and made me totally adverse to reading it again for many years later, Day of the Triffids was a book that my class only had a glancing look at. for a teenager. 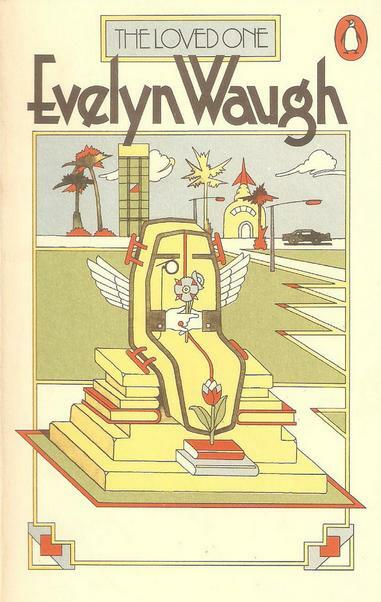 I enjoyed disliking this book. I also enjoyed the outrage my teacher showed every time I told her so. 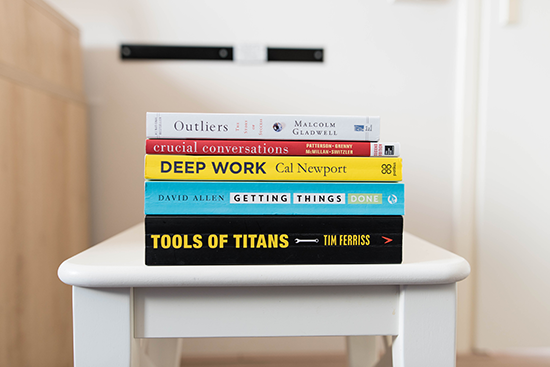 Since reading Day of the Triffids I have always enjoyed reading similar books where society has collapsed and people struggle to rebuild or create a new one. As a teenager I remember spending many hours considering what if... What would I do if a similar disaster happened; which shops would be worth raiding, where would be the best place to build a settlement; what skills would I need to survive; what groups would my classmates split into etc. Ideas like this filled my spare time and started me off into 'what if' conversations with my friends. I still find myself doing this today, not so much 'what if civilisation falls' but more generic 'what if' conversations with my wife who is very effective at shutting them down. 'It hasn't happen so don't bother about it.' I just assumed it was something everyone did. 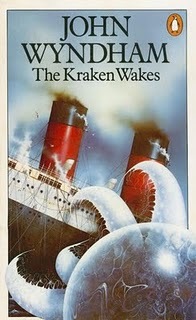 After finishing Day of the Triffids I read several other books by John Wyndham, The Kraken Wakes and The Chrysalids but stopped there as both of these books didn't excite me as much as The Day of the Triffids. Day of the Triffids is a very enjoyable read with some interesting insights on how different people will react when 'law and order' fails. It portrays the best and the worst of human nature. We see some people acting nobly by trying to help others their 'fellow man'. Others trying to help but failing in the execution of that goal and others taking advantage of the situation and twisting it to benefit themselves. Hey there! Just somehow stumbled across your blog. You've got some great reviews here, although I did have a quiet chuckle at how quickly you jumped from Yr 7 to Yr 11/12 in your story (above) as I know I didn't do Emma, R & J or the other one in Yrs 7 - 10. I do remember how much you disliked Emma and I have to admit it is my least favourite Austen novel, but I certainly wouldn't use the word 'tragedy' when describing its content. 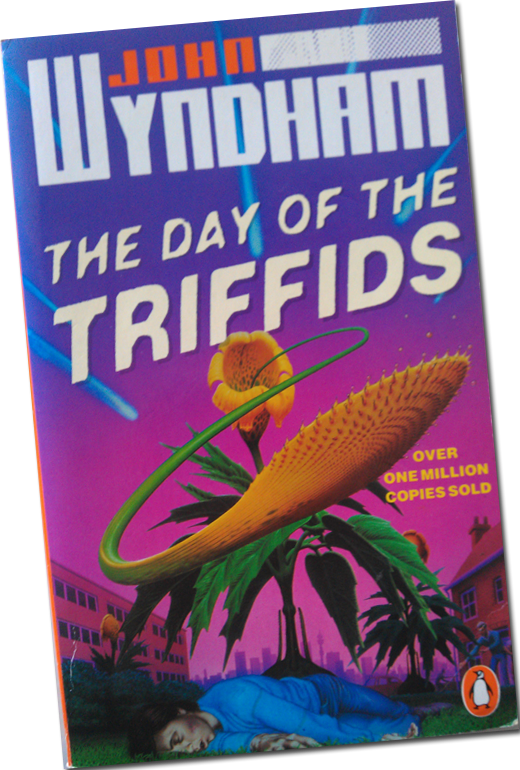 I liked reading the Day of the Triffids too, and cannot remember discussing it very much at all at school. We did talk at length about Lord of the Flies, and I guess Triffids was on the same kind of subject.